I was just 12-13 at the time, Dave was probably 25. It’s strange but I can’t even remember especially how I got to youth each week (thanks Mom and Dad I am sure it was you! ), but I do remember how I got home. 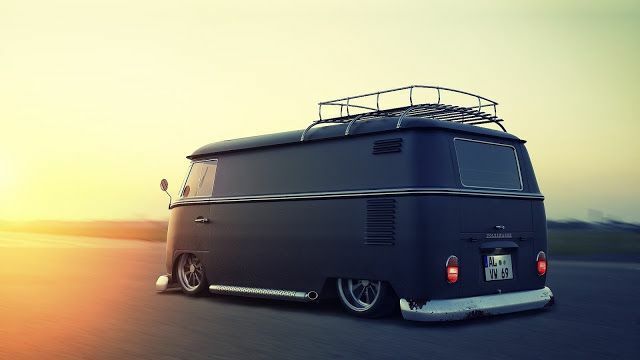 It was Dave’s Kombi! That Kombi was a loud fun place to be, we used to get rowdy at times and even used to sneak up behind unsuspecting pedestrians on Main Road in Cape Town, going really close the the pavement and then suddenly at the right moment all hang out the windows bellowing out our best barking impersonations and then delighting in the heights people would jump to in their moments of sudden terror! That moment, that short invitation changed my life forever! Now, unlike the majority of young South African men today, there was nothing lacking in my family, no deficiency in my own dad but Dave’s invitation and the constant commitment to me and the intentional friendship that followed had both a formative and transformative impact on my life. And so we started meeting as a discipleship group – normally about 4-5 guys and Dave. Our normal rhythm was to meet early in the morning before school and after school before varsity, once a week. We would most often gate-crash the Lautenbach families home, sometimes having to wake family members by knocking on their windows because Phil enjoyed his shuteye! We’d talk rubbish, make a noise, read the bible, pray and share life together often by answering Dave’s questions which often seemed to get right down to the marrow of life. The last question was often; “Have you just lied to me?”! We were mates, Dave was our mate although he was different, he was friend and a father in God. We got drawn into whatever Dave was up to and loved to just watch him do it, do it with him, have him let us do it and in time feel the release and the encouragement from him to do it on our own. This happened as we became youth leaders, leaders at Summer Camp and on the men’s discipleship hikes that were so formative in all our lives. We read the books Dave had read, and ended up learning to fast and pray and grew in our desire to give our lives for something that would last forever. I know that those years in Dave’s discipleship groups have been the single biggest reason why I believe that I am today at age 42 still walking in the purposes of God, those years formed me, formed my love for God, my desire to live for His purposes and formed my character. In his letter to Titus Paul says; “To Titus, my true child in a common faith” (Titus 1:4). When I read this I thought of Dave and how he could say to me, say to many like me; ‘my son in the faith’. I’ll never forget the one meeting we had when Dave got a serious look on his face, opened the bible to 2 Timothy 2:2 and having read it declared that if we did not begin to pass on to others what He had been giving to us he would have to cease to meet with us! We were given 6months to find someone else, other younger guys or lease mature believers to then gather around our lives. Our assignment was to simply do what Dave had done with us again and again. When I read Paul’s greeting to Titus I felt challenged again, and it’s a challenge that I believe every Christ follower who has known Christ for more than 2years should feel; “Who are your spiritual sons/daughters?” Who have you, who are you pouring your life into? Who would call you ‘Dad’ or ‘Mom’ in God? Dave was that guy for me. But the challenge is who can say that I, that you have been that guy, that woman for them? Discipleship is an intentional relationship, it requires effort to start and effort to keep going. Discipleship has aspects of friendship, teaching, imitation, accountability, equipping & release for the purpose of stimulating greater love & devotion to Jesus and His mission in the lives of others. To disciple is to develop LOVE for Jesus, FAITH, CHARACTER, GIFTING in another and then RELEASING them to do as you have done with them. At the moment I have three young guys who call me; ‘Dad’. Two of them have their own dad’s, but it is my joy to know that Dave’s fathering of me, Dave’s challenge to reproduce what he had deposited in me and modelled to me has in fact happened. In South Africa, we live in a fatherless generation, we have a crisis! Who can honestly call you ‘dad’ or ‘mom’ in the Lord? I urge you to take this to heart, to share your life intentionally with others, to ask God to open your eyes to those around you who’s lives will be transformed like mine was if only you’d take the initiative and invite them to share life with you. Will you? This entry was posted in Discipleship and tagged Discipleship. Wow Gareth – this makes me want to Disciple people. My greatest joy has been watching you and many others grow way past me and continue as you a passionately serve Jesus. Being there as Steve van Rhyn preached an outstanding message on Death and Eternity this morning made my heart glad, what Grace has been evident in all your lives, what a privilege to have played a part in helping form a passion for Jesus. At 53 and after a period of prolonged illness which sidelined me for many years I am ready for another round, your sons are at about the right age to get some in your face “toppie” challenging them to serve Jesus with all their heart, mind, soul and strength. Duncan Watkinson once encouraged us to have a “hand over heart” and to teach others all we have learned, what a gift, what a legacy.